We introduce a new exactly integrable level-crossing model of quantum semiclassical two-state problem for which the analytic solution is written in terms of the Kummer confluent hypergeometric functions. This is a constant-amplitude field-configuration describing an asymmetricin- time level-crossing process for which the laser field frequency detuning is given in terms of the Lambert-W function. The general solution of the problem for this model is written as a linear combination, with arbitrary constant coefficients, of two fundamental solutions each of which presents an irreducible linear combination of two confluent hypergeometric functions. We present the fundamental solutions and analyze the behavior of the system in the external field defined by the specific field configuration. Russian Text © Т.А. 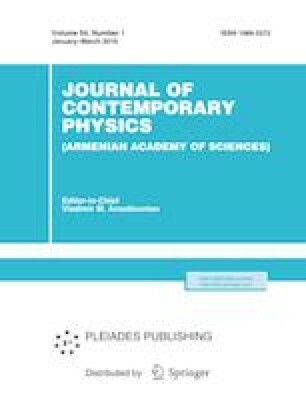 Ishkhanyan, 2019, published in Izvestiya Natsional'noi Akademii Nauk Armenii, Fizika, 2019, Vol. 54, No. 1, pp. 24–35.